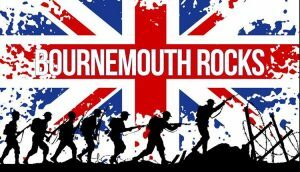 Bournemouth Rocks is a charity concert to commemorate 100 years since the end of World War 1. Raising much needed funds for smaller local charities including Stable Family Home Trust, Pilgrim Bandits and supporting mental health locally. Bournemouth Rocks is on Saturday 21 July 2018, and organised by Janet Coope, who works here at Druitts and her husband Eddie. The not for profit event at St Peter’s Catholic School, St Catherines Road, Bournemouth, BH6 4AH includes a variety of musical acts and ends with a spectacular firework finale. All operating costs have been covered by sponsorship, every penny of your ticket price goes to support the chosen charities. Bring a picnic and seating, or purchase refreshments at Bournemouth Rocks and enjoy the atmosphere. Gates open at 4pm, with entertainment from 5pm-10pm. Artists performing include: shine performing arts school, Matt Black – The piano man, Topher Balne – Singer/songwriter, first position school of dance, The Hazy Band, Bournemouth University Big Band, Steven Gonzalez – Pianist, Susie Kimber – Vocalist, and hosted by Andy Brennan. Tickets can be purchased in advance through their website, and are £11.50 per person in advance or on the gate £12.50. 16 Years and under are free with donations accepted. Druitts Solicitors are supporting this event, we look forward to seeing you there. Druitts Solicitors is the trading name of Druitts Limited. Registered in England & Wales under Company Number 07278637 and authorised and regulated by the Solicitors Regulation Authority SRA Number 000544215.